Sign up for Auntie Anne's email newsletter to get a coupon delivered to your inbox every month. 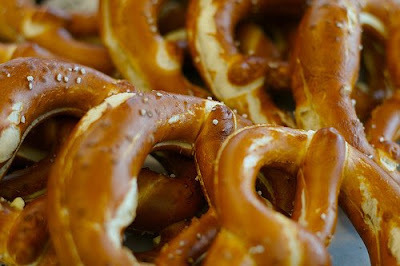 As soon as you sign up you will receive a coupon for a free pretzel with the purchase of any pretzel. I think my husband and I will be stopping by as part of a date! This months was B1G1 free pretzels. This is the bribe I use when we go to the mall to get all my other freebies!